David Moyes says the key to his talks with Ellis Short will be discovering what scope he has to reshape the squad next season. The Black Cats boss is expected to sit down with the Sunderland owner next week to discuss his plan to bounce back from the drop. The summer could present a unique opportunity to virtually build a fresh team of his choosing from scratch, but what market he will be shopping in will be key. He said: “This is what the conversations at the end of season will be about – what have we got to shape it? 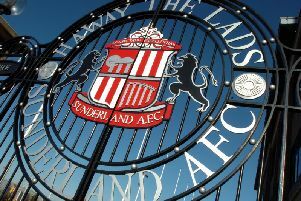 Sunderland will receive a parachute payment of approximately £44million next season, but that will gradually decline over the course of three seasons. The Black Cats will also look to soften the blow of losing the Premier League’s spectacular TV money by cashing in on first team assets. However, with a wage bill above £80million and a debt abover £100million, it is far from clear how much of that money raised will be able to reinvest in the side. The club has also been in a period of uncertainty with Short keen to sell the club if his asking price is met. So Moyes is eager to discover what he has available to him as he looks to rebuild a side that has limped to relegation. The Sunderland boss has regularly bemoaned his dependence on free transfers and loan players since arriving at the club, accounting for almost half of his 13 deals. Moyes said: “Will we have the funds to shape it? If not, it would be like last summer where we had to bring in loan players and free transfers. Moyes has already presented Short with what he believes he will need to get Sunderland back into the Premier League, using a number of case studies of those who have managed the feat previously to illusrate his points. He believes Sunderland have a big challenge ahead with most teams bouncing straight back able to keep most of their relegated squad together. Clearly, the Black Cats will not be able to do that, with eight players out of contract, three loanees returning to parent clubs and others having contract clauses making their departure almost inevitable. Moyes has insisted he will be on Wearside next season but his talks next week will unquestionably shape his and the club’s future.